St. Martin-de-Sallen is a village and commune 31 kilometres south-south-west of Caen, and 5 kilometres south-west of Thury-Harcourt. 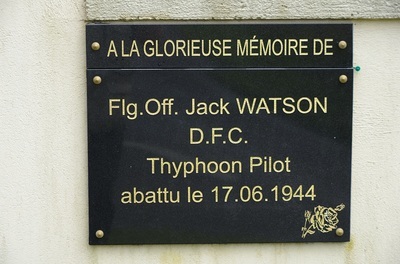 This is a small town on the N.162 road from Caen to Elers. 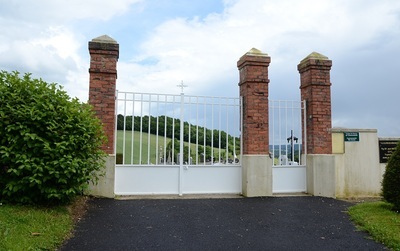 The communal cemetery is 500 yards from the church, on the east side of the village, and is on the north side of the D.134 road to Pont-de-la-Mousse, the bridge over the river Orne. 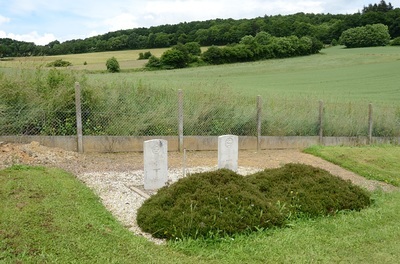 There are 2 Commonwealth burials of the 1939-1945 war here, near the northern boundary, and south of the monument in the centre of the cemetery. 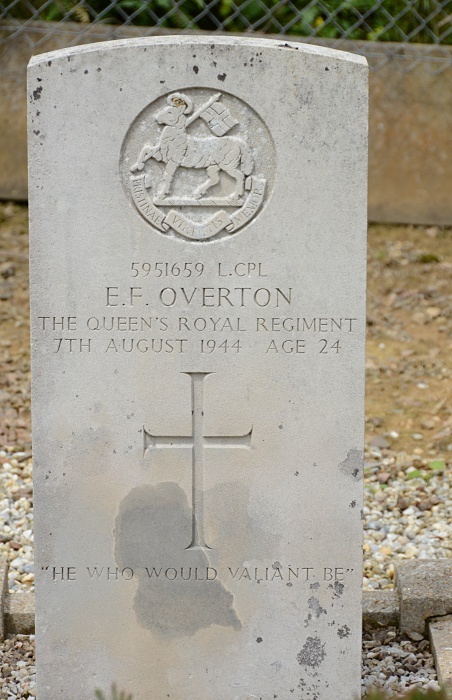 ​5951659 Lance Corporal Edwin Frank Overton, 1/7th Bn., The Queen's Royal Regiment (West Surrey), died 7th August 1944, aged 24. 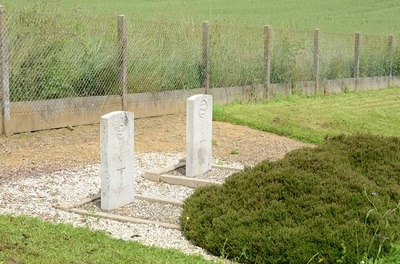 Son of Edwin Charles. and Helen Tirnna Overton, of Salisbury; husband of Dorothy Erhen Overton, of Salisbury. 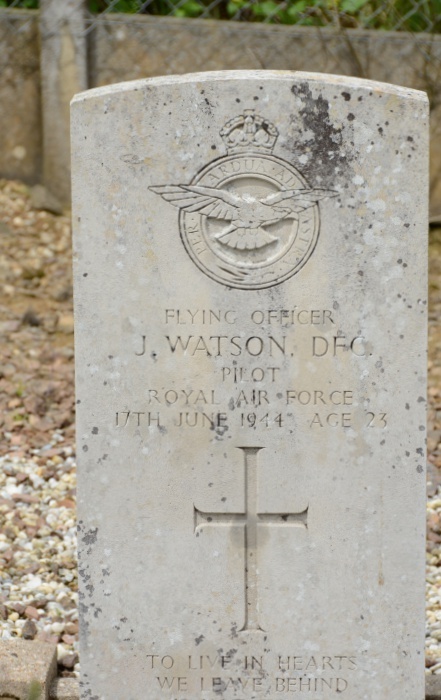 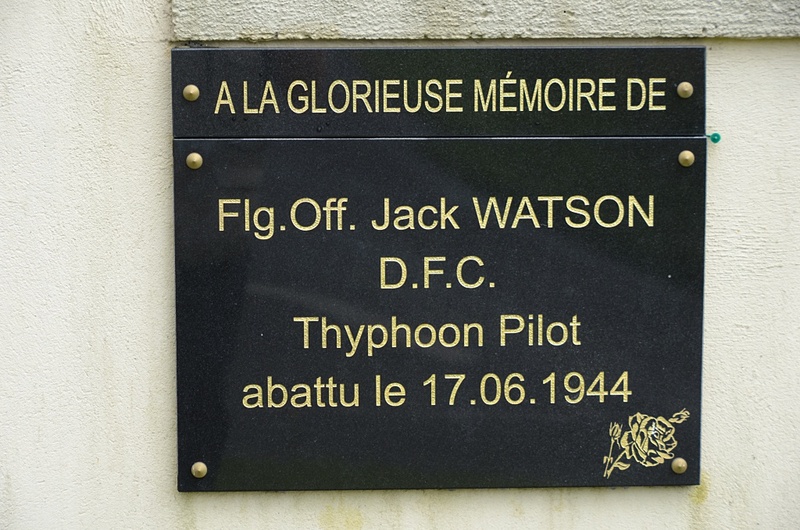 169431 Flying Officer Jack Watson, D. F. C., Pilot in 197 Squadron, Royal Air Force Volunteer reserve, died 17th June 1944, aged 23. Son of George Ernest Watson, and of Mary Jane Watson, of Fencehouses, Co. Durham.